In the world of aromatherapy, a true peppermint oil is an essential oil that is often used to promote physical and emotional well-being. A true essential oil, however, can be rather pricey; even though it has a stronger scent, it must be diluted if used in body oil. If you want to make your own body oil, you may find it interesting to know that you can make peppermint oil from a peppermint plant. While it may not be as strong as a true essential oil, it will be a lot cheaper to your pocketbook. Choose a jar with a lid to store the oil in. Pint-size canning jars or small jelly jars work well as a container for storing oil. Make sure to clean and sterilize the jars and lids before filling them with peppermint and oil. Gather enough peppermint to fill each jar. Remember that once the oil is poured over the peppermint, it will not take up as much space. If you have plenty of peppermint available, you may wish to harvest enough to pack as much peppermint into the jar as will fit. Place the peppermint into a colander. 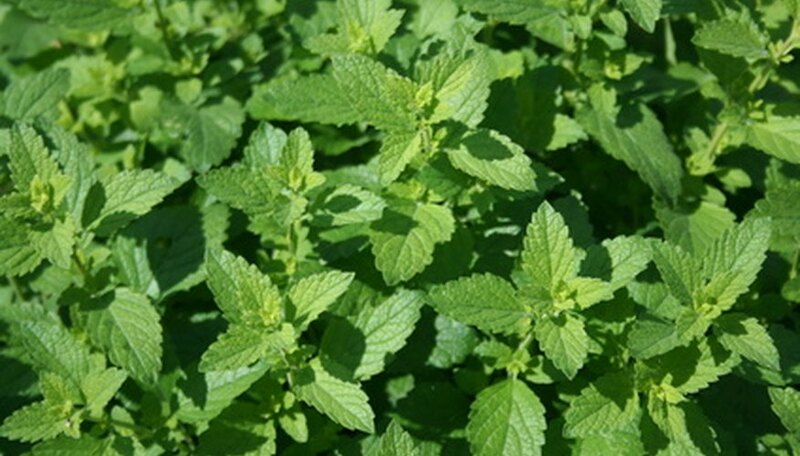 Inspect the peppermint and remove any brown leaves or darkened stems. Gently rinse the peppermint and shake away any excess water. Arrange the peppermint in single layers on a paper towel and allow to dry. Chop or tear the peppermint leaves to release the peppermint’s oil. If you do not like the look of torn or chopped leaves, you may wish to place a second layer of paper towels over the peppermint and lightly roll a rolling pin back and forth to gently bruise the leaves and release the oil while still maintaining the wholeness of the leaf. Once you have released the oil, place the peppermint into the jars. Use a cooking thermometer to heat the oil to 160 degrees F. Pour the heated oil over the peppermint leaves and gently stir with a wooden spoon or Popsicle stick. Place the lid onto the jar and seal tightly. Keep the jars in a dark cool area for at least a month. This will allow the oil from the peppermint to infuse with the vegetable oil. Your peppermint oil will then be ready for you to use. Although almost any type of vegetable oil will work as a carrier oil, each type has its own aroma that will add to the scent. For best results use a soft smelling oil such as sweet almond or sunflower oil that will not overpower the peppermint. For a special touch, consider transferring the peppermint oil into a pretty vinegar or oil carafe for gift giving, once the infusion process is complete.